"You say you're not happy, but you won't change anything." 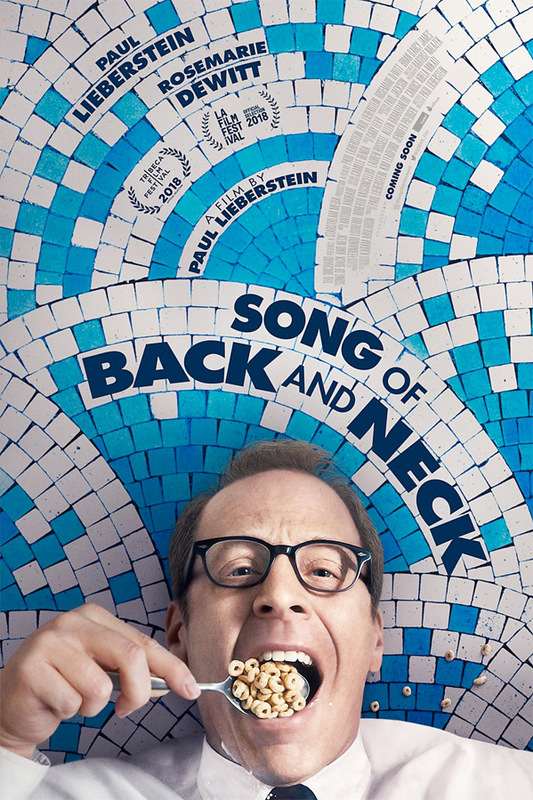 The Orchard has debuted the official trailer for an indie romantic comedy called Song of Back and Neck, the directorial debut of actor / producer Paul Lieberstein, which first premiered at the Tribeca Film Festival. Lieberstein stars in the film, and also writes, directs, and produces making this very much his own personal project. The amusing film is about an ill-fated, middle-aged divorce lawyer who suffers from chronic back and neck pain, who falls for one of his clients while also discovering an acupuncturist who helps him deal with the pain. In addition to Lieberstein, the film co-stars Rosemarie DeWitt as his love interest, with a full cast including Brian d'Arcy James, Clark Duke, Paul Feig, Robert Pine, Sam Anderson, Raymond Ma, and Ike Barinholtz. Have fun. Fred (Paul Lieberstein) rarely gets through the day without falling to the ground with crippling pain. After meeting the beautiful Regan (Rosemarie DeWitt) and visiting an acupuncturist, he finally begins to find relief for both his chronic pain and his persistent loneliness. Song of Back and Neck is both written and directed by American actor / filmmaker / producer / comedian Paul Lieberstein, making his feature directorial debut with this film after a few episodes of "The Office" and "The Mindy Project". This premiered at the Tribeca Film Festival this year, and it also played at the Los Angeles Film Festival. The Orchard will release Lieberstein's Song of Back and Neck direct-to-VOD starting on December 4th coming up. Anyone?